The story of Zacchaeus has always been one that intrigues me. It’s only ten verses long but so much is packed into his story. I have lots to learn from this wee little man. He was determined, a good listener, repentant and one who acted on his word. Zacchaeus was a man of great wealth. He didn’t lack anything. But, yet he lacked the most important thing- life with Jesus as Lord. One day Jesus was passing through Jericho. Zacchaeus heard about Jesus but wanted to see who He was. But because he was short, he couldn’t see over the crowd. Zacchaeus was determined though. He ran ahead and climbed a sycamore tree just to see Jesus. I am challenged by this. Do I run ahead and climb so I can see Jesus? 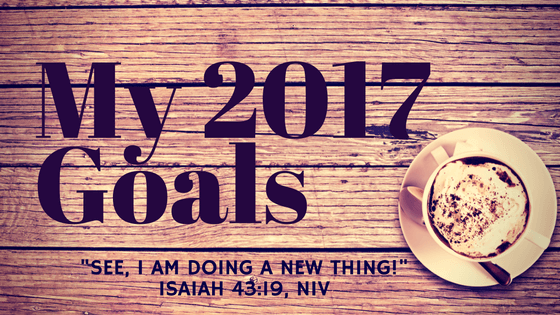 Do I let go of my distractions and do what it takes to see Jesus? The story continues with Zacchaeus waiting in the tree to get a glimpse of Jesus. When Jesus passed by the spot, He looked up at Zacchaeus and asked him to come down immediately. Zacchaeus was a good listener at this point. He could of said “Am I really worthy to spend time with?” or “Are you sure you’re talking to the right man?” Instead of responding in that way, he listened. Zacchaeus came right down and welcomed Jesus. When Jesus asks me to come down from my pride, my doubts, my worries, my fears, my judgmental attitude, do I respond like Zacchaeus? Do I climb down right away and welcome Jesus? Or do I give excuses for my sin? After Zacchaeus welcomed Jesus into his home, he also welcomed Him into his heart. He admitted to doing wrong to people. Zacchaeus was repentant. Not only was he repentant, he acted. He realized how much he cheated people. Instead of just paying back the amount he cheated them, he decided to pay back four times the amount. In addition to that, Zacchaeus also gave half of what he owned to the poor. This my friends is a result of a changed heart. He listened to Jesus and responded. Once again, I am challenged by this man. Do I respond to the conviction of the Holy Spirit when I sin? Am I repentant? What changes do I make in my life in response to what God is teaching me? Zacchaeus may have been a short man, but he was a smart man. One climb up a sycamore tree changed his life forever. He opened his heart to Jesus and was never the same. My prayer is that I learn from this wee little man. I want to do what it takes to see Jesus- run, climb, etc. I also want to be one who listens to Jesus and becomes more in tune with His voice. But not only that, that I respond to what Jesus is asking me to do. I want to be a different person each time I encounter my Jesus. How about you? 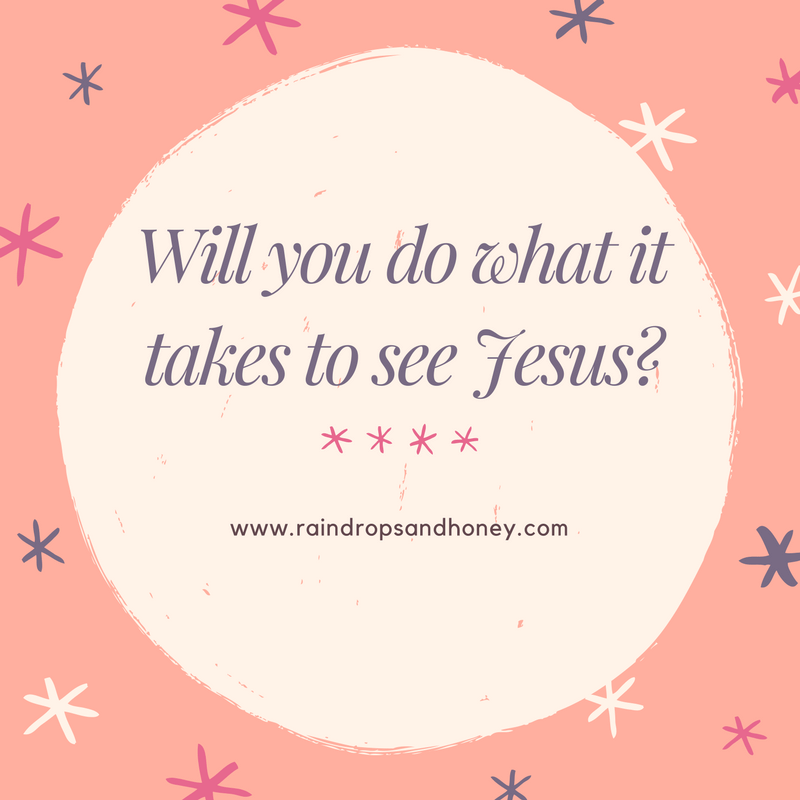 Will you do what it takes to meet Jesus? To listen and change to be more like Him? My friend, you will be beyond blessed if you do. Learn from Zacchaeus today.